You lie back with your eyes closed relaxing while listening to the waves wash up along the shore. The warm ocean breeze washes across your skin as the summer sun shines down upon you. 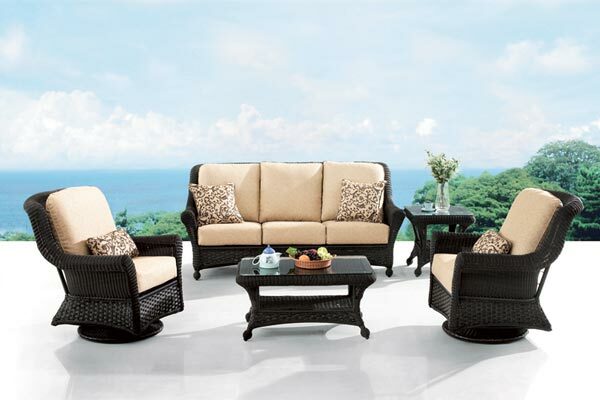 You begin to open your eyes as you reach for your favorite beverage when you realize you’re still in your own back yard enjoying your Erwin & Sons all-weather wicker furniture. Erwin and Sons a 26-year-old Georgia-based company, is one of the largest and most trusted direct container importers of casual home furnishings in the world. 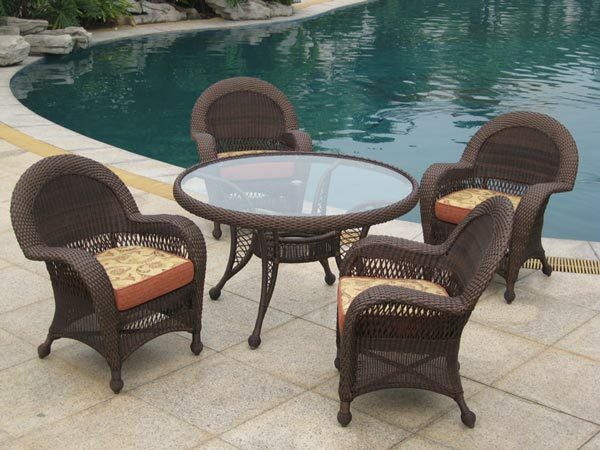 Erwin and Sons manufactures a diverse range of premium all-weather furniture, including Bahama Wind™and Island Collection™ all-weather wicker, and mosaic stone tabletops. 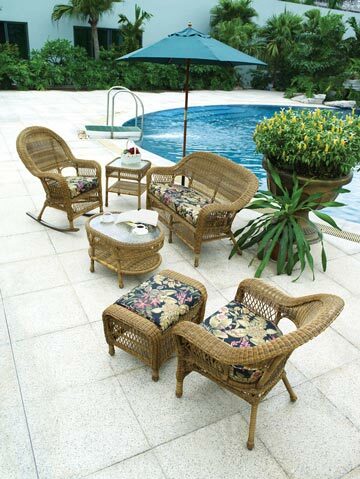 Their cushions are made of fabrics from Sunbrella®, Outdura®, Cone Jacquards, and many others. Keeping an eye on the future, their design team works 12 months ahead, planning new concepts and product lines, manufacturing and testing samples, and constantly refreshing furniture lines. Team members continually inspect manufacturing facilities and review production processes to ensure rigid superior-quality standards. 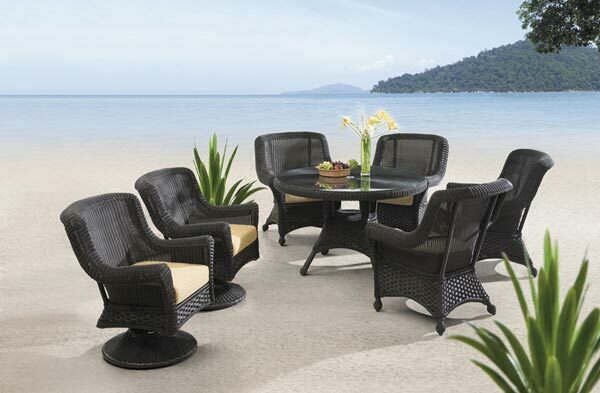 Erwin & Sons all-weather wicker furnishings are crafted from premium quality HDPE (high-density polyethylene) resin, which is hand woven over reinforced rustproof aluminum frames. 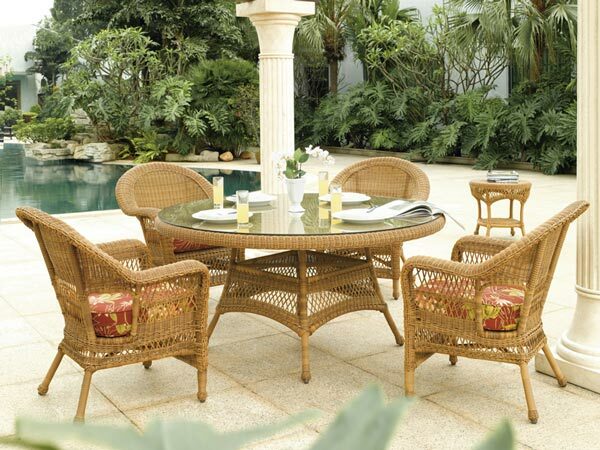 Lab tested for fade-, sag- and mildew resistance, their all-weather wicker is virtually maintenance free. Their Leisureluxe™ cushions offer state-of-the-art comfort, resilience and wearability. A solid foam core is wrapped in polyester batting and encased in a waterproof polypropylene barrier, making it unsurpassed for outdoor use.